“Have dog, will travel” is a motto my husband and a travel-crazy me swear by and so it is no surprise that every year we try to aim for at least three road trips with Babu, our beloved Tibetan Spaniel Mix. Lodi is tiny in size but BIG in warmth and hospitality. 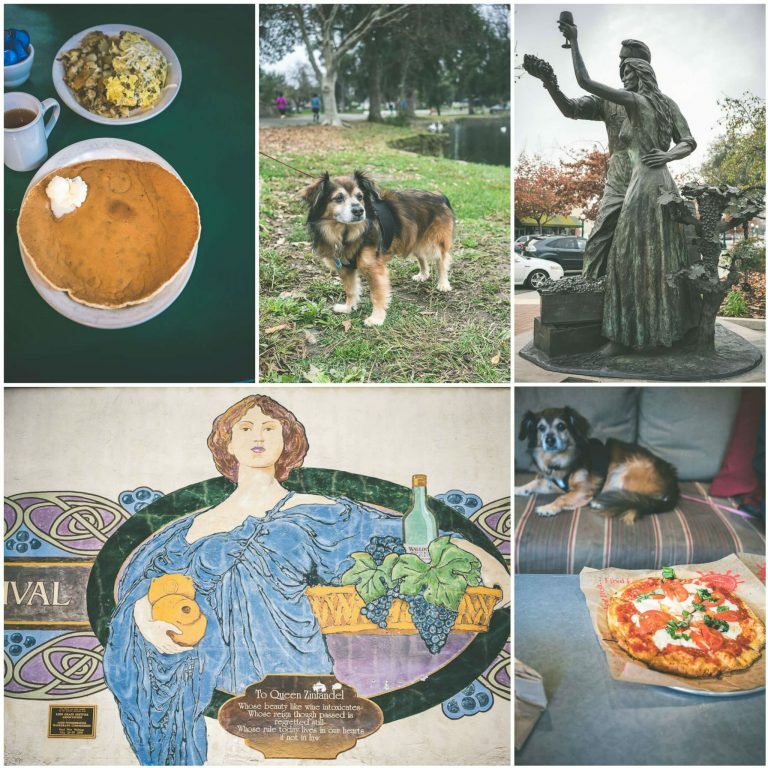 The friendly smiles, cozy downtown, dog-friendly parks and a stroll along the serene Lodi lake were just the right dose of relaxation meets unwinding, far from the humdrum of our busy San Francisco lives. Be it the delicious pie at Smack Pie pizza or a romantic dinner for two at Towne House restaurant (inside Wine & Roses hotel), all our noshing in Lodi was with Babu and all these places were super dog-friendly with heated outdoor seating (so thankful for that). Needless to say, the food was absolutely delicious! 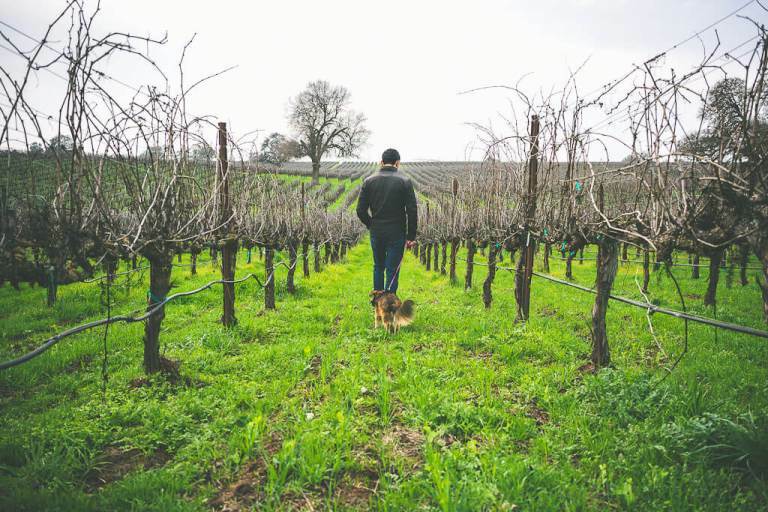 This was possibly the most epic part of our travel, especially because we have been to many wine growing regions of California with Babu but nowhere did we see so many spectacular wineries that were so inviting to both human and canine! We kind of figured out how obsessed Lodi is with its grapes (the tagline of the visitor bureau is “the story behind the wine”, after all), but we were so surprised to find out that many of these allowed dogs in their tasting rooms. 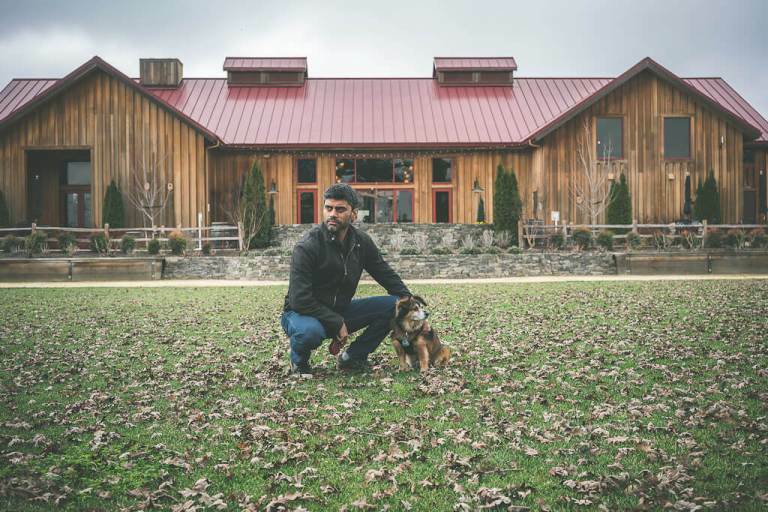 We were seriously spoiled for choices in downtown alone, where tasting rooms like Toasted toad cellars, Dancing Fox winery and Jeremy wine Co. welcome dogs. Also, wine tasting in Lodi will not hurt your pocket (is only $10/tasting in all the places we went) and the tasting fee is waived if you buy a bottle. Not only were the pourers sweet, friendly and super knowledgeable but also the service felt very personalized and not at all rushed. 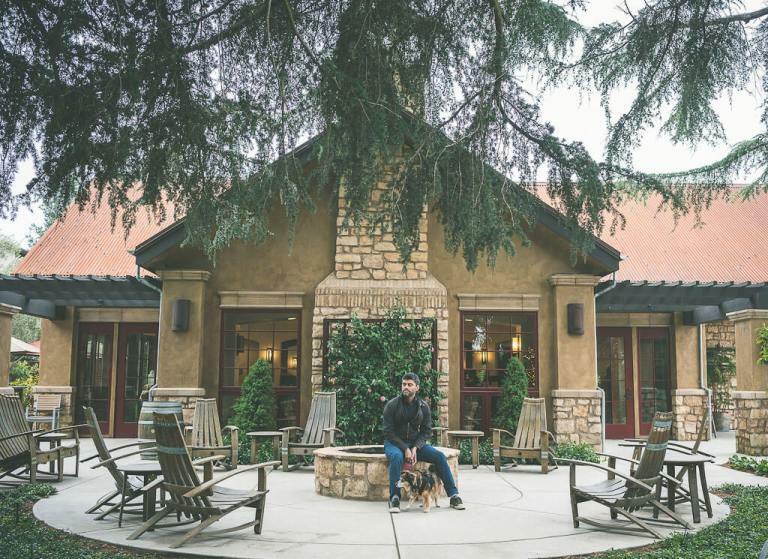 The wineries (and Lodi has so many of them) literally took our breath away with their spectacular beauty, dog-friendly tasting rooms and the variety of wines (both reds and whites, including the famous Lodi Zinfandels) included in the tastings. We visited Oak Farm Vineyards which wooed us with a beautiful red-roofed tasting room nestled in a sprawling vineyard. There was a crackling fireplace inside for you to slip into a world of comfort as you sip wine and heated patio seating in case you chose to explore the surroundings. 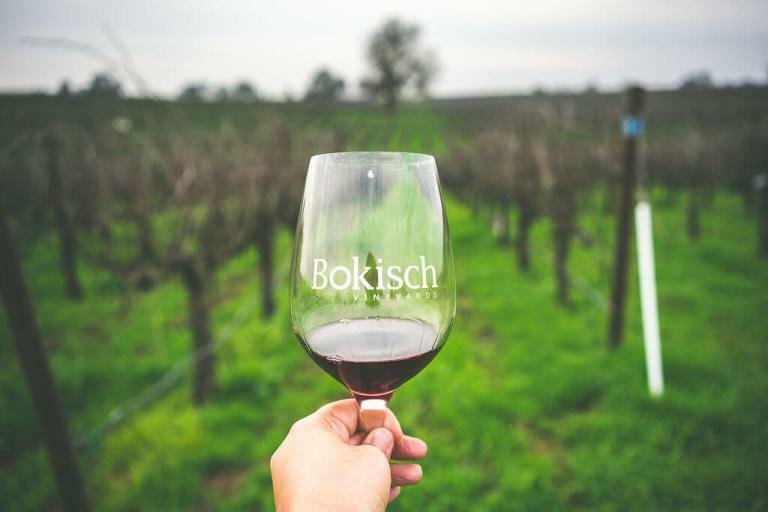 Next came Bokisch winery which specializes in Iberian wines and they too have personalized fire pits surrounded by bright red chairs overlooking a lush green estate if you want to enjoy your wine outside. Finally, we stopped by Harney Lane Winery and Vineyards which not only has a splendid tasting room filled with gourmet goodies but also a picturesque garden which is just the right spot for sitting down with a picnic basket and a glass of wine. 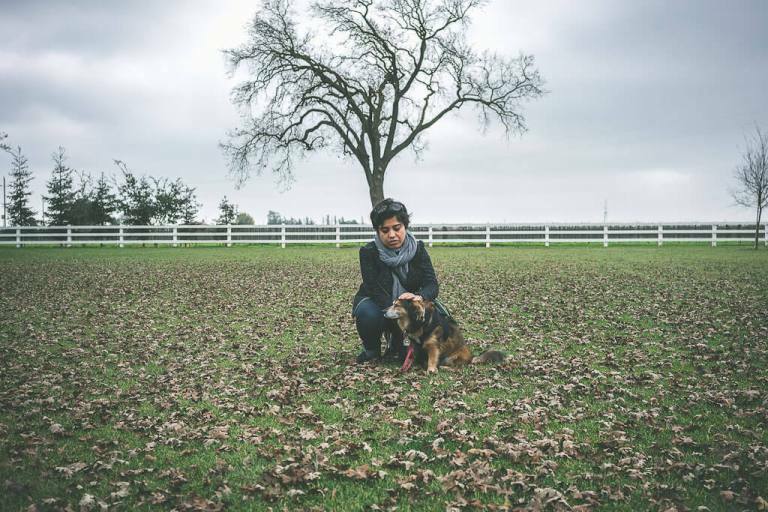 This, in a nutshell, is how we spend our weekend at Lodi with our dog and loved every second of it. A mere 1 hour 45 min drive from San Francisco, this hidden gem of California has stolen our hearts and we cannot wait to return to savor more wine and visit many more beautiful wineries. If you are looking for dog-friendly destinations to visit, you can follow our adventures at www.yrofthemonkey.com/category/pets I am also on Instagram and Facebook!